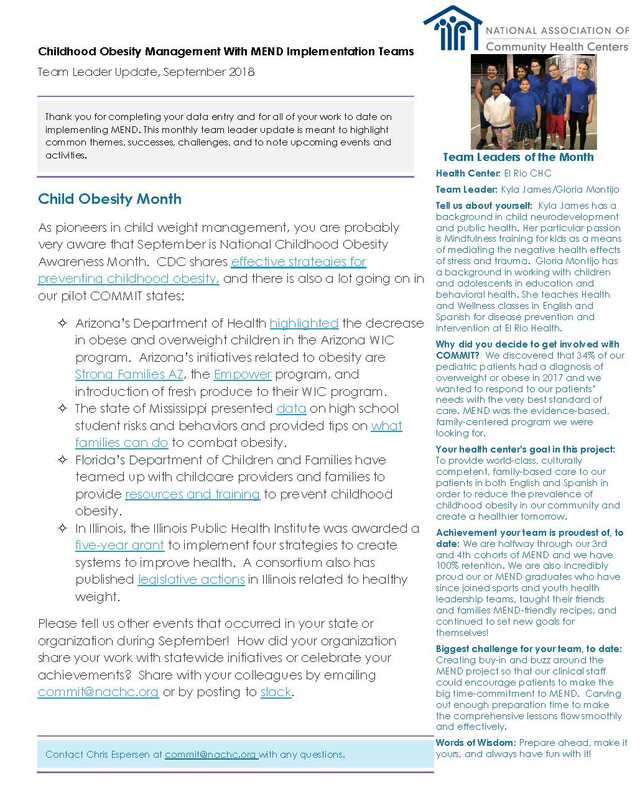 MEND Programs and NACHC Commit project | Healthy Weight Partnership, Inc. The COMMIT team newsletter shows good progress being made on delivery of MEND programs in FQHCs in Arizona, Mississippi, Illinois and Florida. We are pleased to be part of this important initiative with a series of forward-thinking Health Centers committed to helping their populations!